Travelers to Newport News, Yorktown, Williamsburg and Virginia Beach are all welcomed at the Newport News / Yorktown VA Staybridge Suites! Whether visiting the Hampton Roads area on corporate business, government, extended-stay or enjoying leisure family time at nearby parks and attractions such as Busch Gardens or Water Country, USA, this Staybridge Suites is the perfect hotel location for you. Our friendly staff is dedicated to meeting your needs. We are conveniently located at exit 256B off I64. Flying into Newport News Williamsburg International Airport (PHF), less than three miles away, makes it especially convenient to NASA, Ft. Eustis, Langley AFB, Lockheed Martin, Christopher Newport University, Raytheon, Huntington Ingall's Shipyard, Boo Williams Sport Complex, Northrop Grumman, Hampton Coliseum and Hampton Roads Convention Center. There's a varied selection of restaurants and entertainment within walking distance of the hotel. 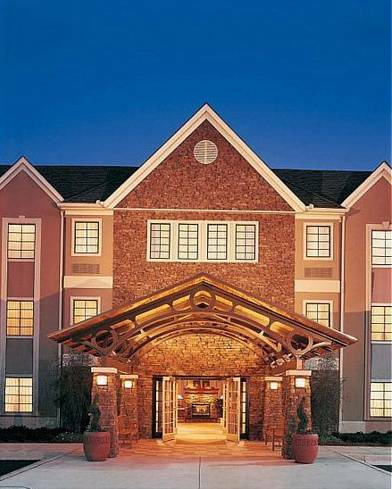 The Staybridge Suites Newport News Yorktown offers apartment style suites with the convenience of home. Our 100% smoke-free, pet friendly hotel offers studio, one or two bedroom suites featuring fully equipped kitchens, spacious living and work areas, complimentary storage units, self-laundry facility, full hot breakfast buffet, a Fitness Center which includes free weights, barbecue grills & dining at our evening Social receptions (Monday - Wednesday). Patrick Henry MallLarge Regional Mall, Macy's Dillard's, J C Pennys and 100 Specialty stores and Restaurants. Kiln Creek Gofk Course18 hole and 9 hole available. Public Welcome, Walk privledges.